Working with world class dress designer, Sassi Holford has remained one of my favourite projects to date. 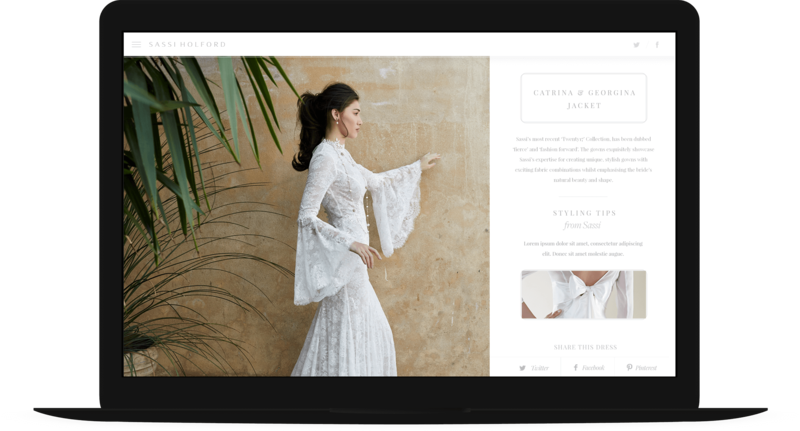 Acting as an online shopfront for the beautiful dresses she designs the site needed to remain subtle, stylish with great attention to the little details. 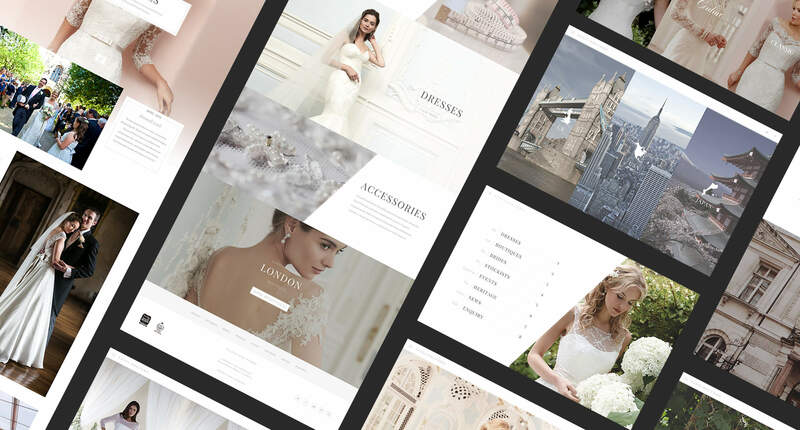 The challenge I faced was designing a beautiful website that truly reflects the values of the well established brand that showcases the dresses whilst simultaneously encourage in-store visits for the full experience. An important part of the project was creating an area to show off the dresses in their best light; on the brides. 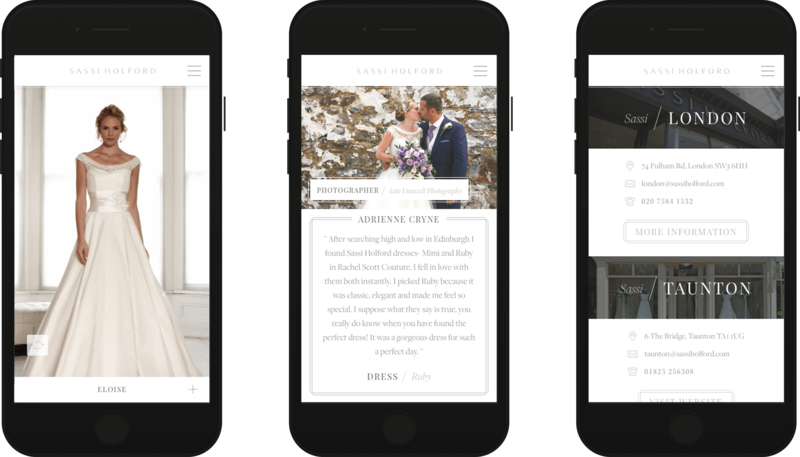 I designed a broken grid style, infinitely loading page to create an ongoing feed of inspiration for brides.